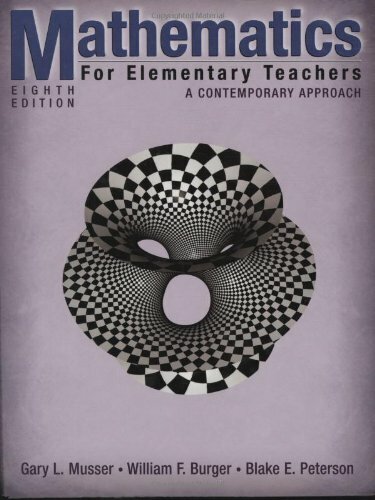 Now in its eighth edition, this text masterfully integrates skills, concepts, and activities to motivate learning. It emphasises the relevance of mathematics to help students learn the importance of the information being covered. This approach ensures that they develop a sold mathematics foundation and discover how to apply the content in the real world. About Gary L. Musser (Author) : Gary L. Musser is a published author. 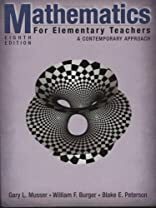 Some of the published credits of Gary L. Musser include Mathematics for Elementary Teachers: A Contemporary Approach, Eighth Edition Binder Ready Version.